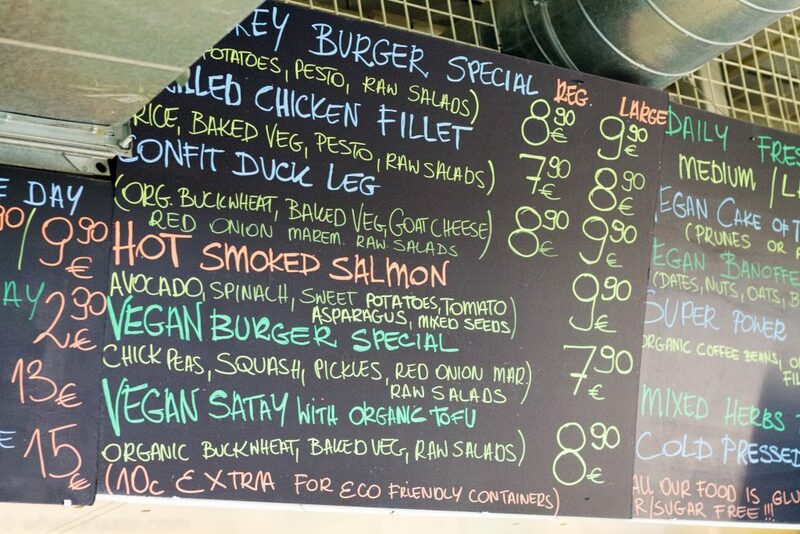 Where can you get decent paleo food on the north side of Dublin (or any part of Dublin) on a budget? Up until recently I would have said a place like this doesn’t exist. But I was wrong. 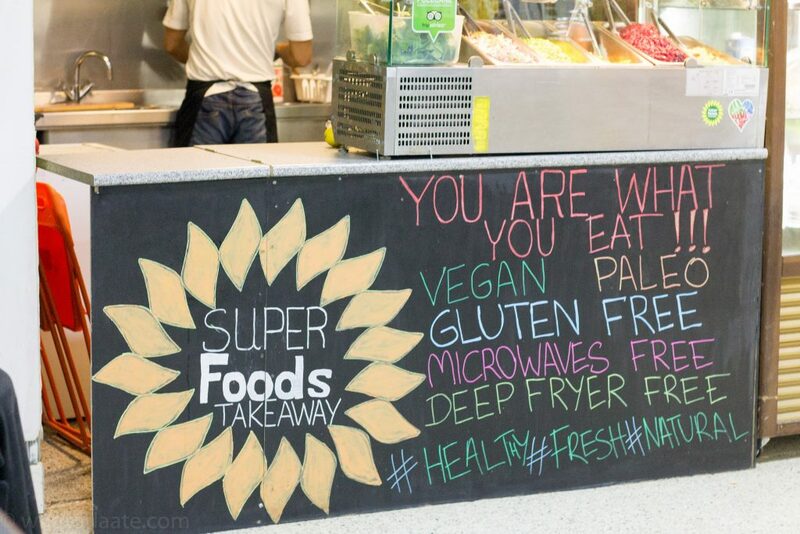 Superfoods Takeaway has paleo, vegetarian and vegan dishes all for less than 10e. It’s located in Moore Street Mall. Now, I know what you’re thinking. Seriously? Yes, seriously. Superfood Takeaway, surrounded by a variety of different kebab, Polish, Indian and Malaysian food stalls is like a diamond in the rough. 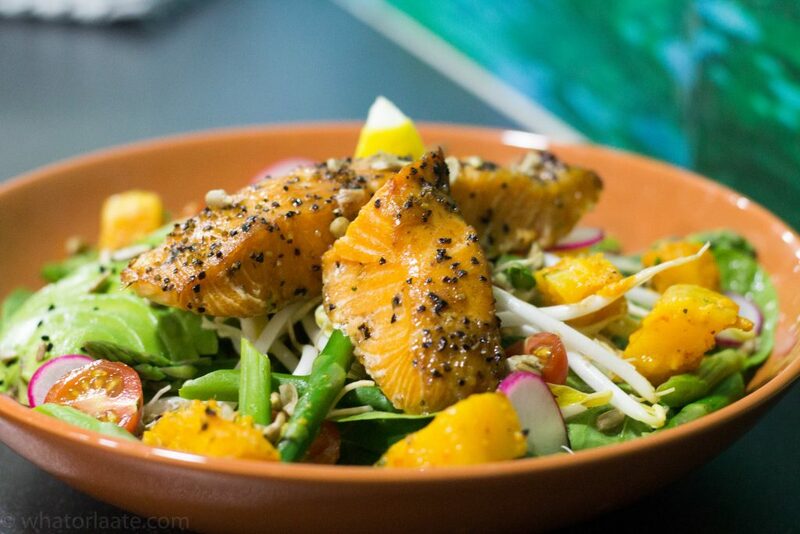 It offers a range of vegetarian, vegan, dairy free and paleo dishes. It’s concept is simple. Delicious food made with fresh vegetables, fruits, and healthy fats. They don’t use any artificial food enhancers, only ground spices and herbs. I came across their Facebook page some time ago and was in awe looking at their food photos. Honestly, I thought to myself “those photos are stock photos from the internet. No way does the food look that good”. Simply because I’ve never heard of anyone mention it before and I do get a fair amount of people recommending food places to me (which is always welcome!). Again I was wrong! The food looked exactly like the photos they put up. Their menu is smallish but varied and they do specials every day (I think!). I opted for the Hot Smoked Salmon as I was curious to know if it would look like the picture they had on Facebook. Obviously, it did. It’s not only a colourful and visually appealing dish but also tasted just as good as it looks. It was packed full of flavour and you can tell a lot of time and effort went into preparing it. What I really loved about this dish is that it came with avocado. I’ve found that normally when dishes come with avocado they come with a scaldy amount of it, usually half. Not in this case. 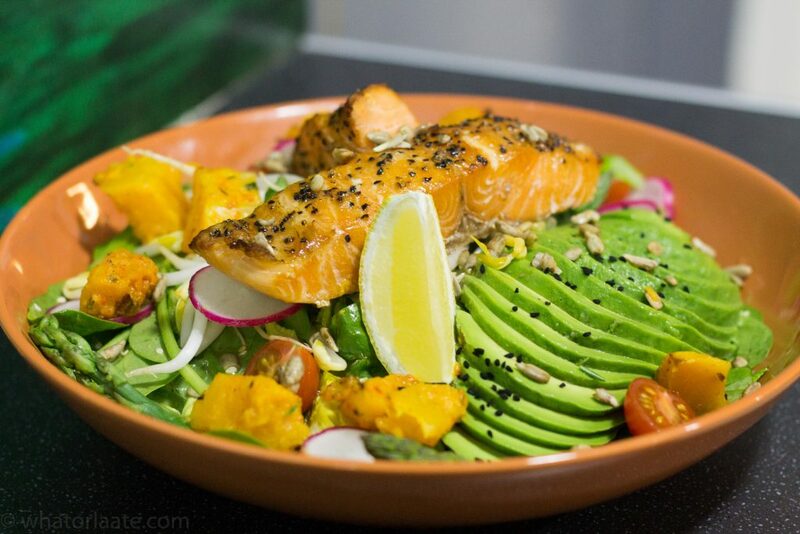 A decent portion of avocado with an equally large piece of salmon. TBH, I’m not sure how they are making money with this dish as I’d have happily spent 12-15e on something like this in the past. 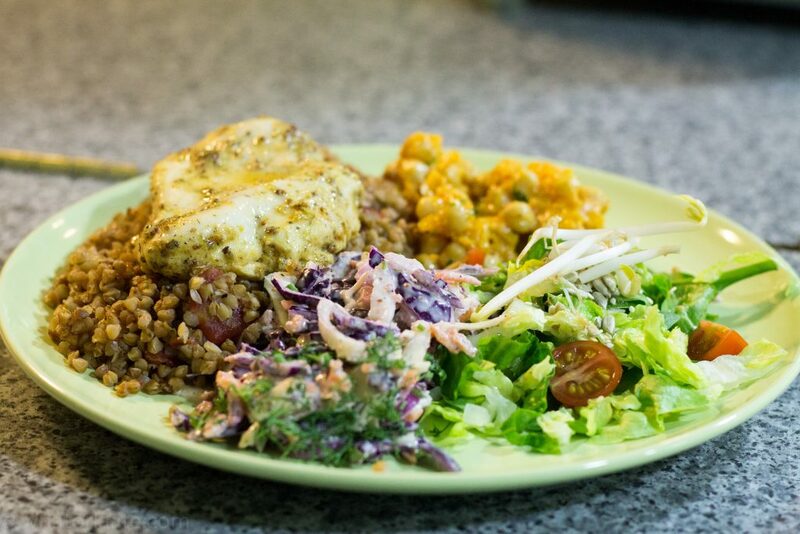 The Paleo special of the day was a lemon, mustard and rosemary baked chicken fillet with sweet potato and a selection of salads. Again, another really colourful dish. Fingers crossed it’s on the menu again and I can try it but I suspect it tasted just as nice as it looks and sounds. And because no meal is complete without a dessert I tried the vegan cake of the day. Today’s was prune. The bottom of the cake is kinda like a biscuit base made from coconut, it had a sort of prune mousse in the middle and topped with chocolate. 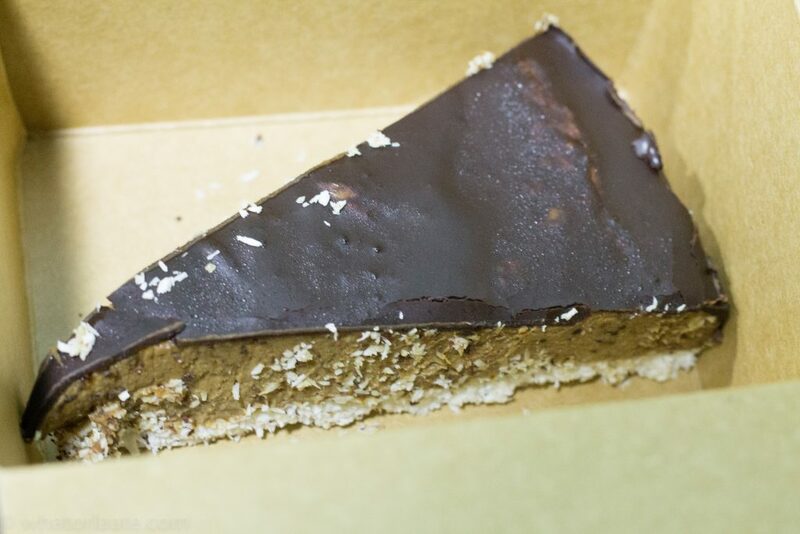 I find a lot of vegan/paleo desserts and bit MEH but this one was delicious. 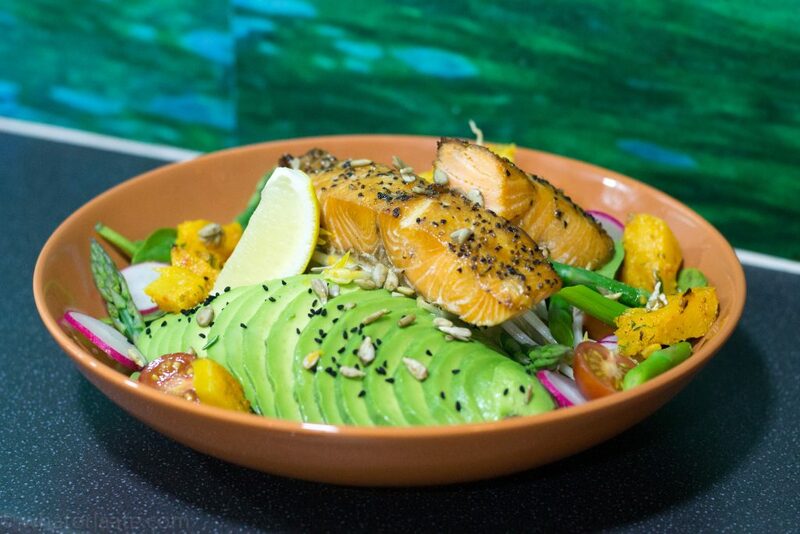 Would I go back to Superfoods Takeaway? 100%. This won’t be my only visit this week. What did I not like? I can see some people being put off by it being in Moore St Mall but don’t be, it’s worth it.